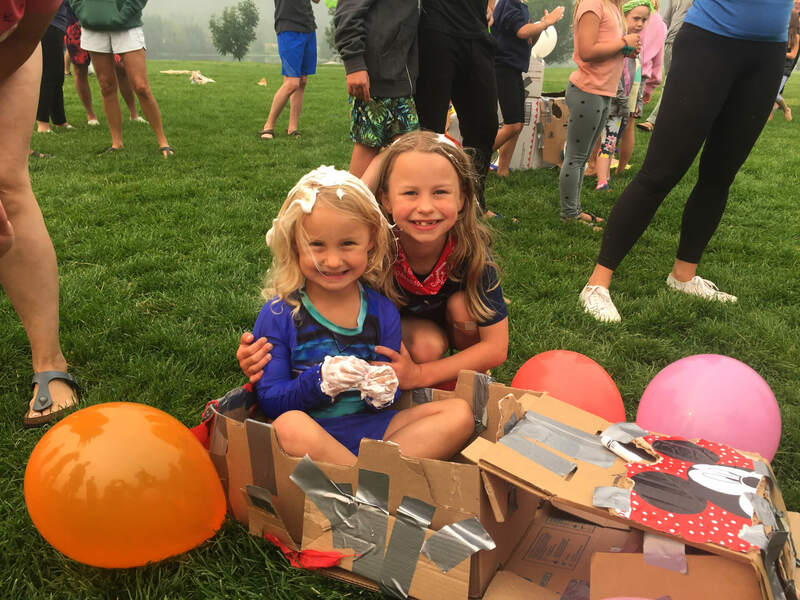 Summer is prime time at RockRidge Canyon. The days are extended to include more fun and the wide blue sky is consistently filled with puffy white clouds. 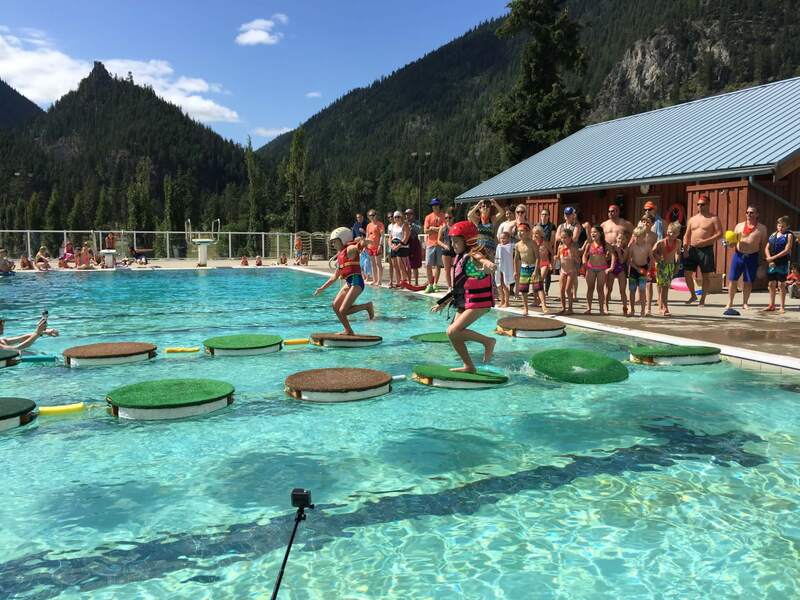 In the summer, RockRidge Canyon comes alive with activities on the lake, in the pool, amongst the trees and inside where it’s cool. 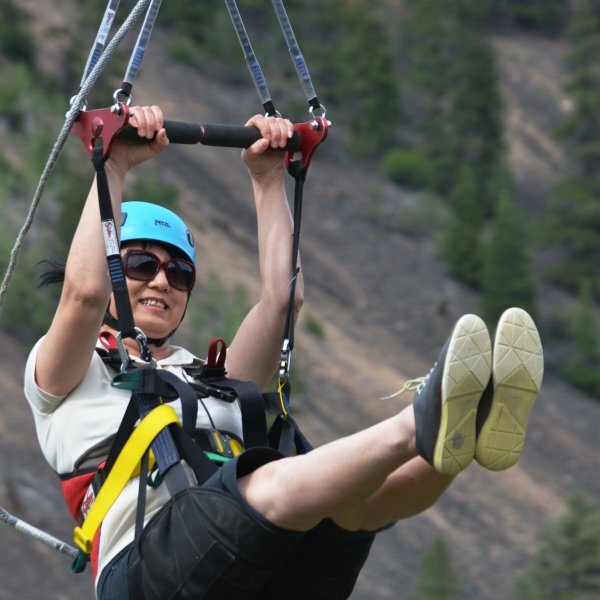 Soar above the lake on the the famous zip line. Cast a line from the shores of Canoe Cove. Explore the property at your own pace on a Trek mountain bike. Relax in the pool or sink your toes in beach sand then try wake boarding for the first time. There is so much to do but this week it’s up to you. 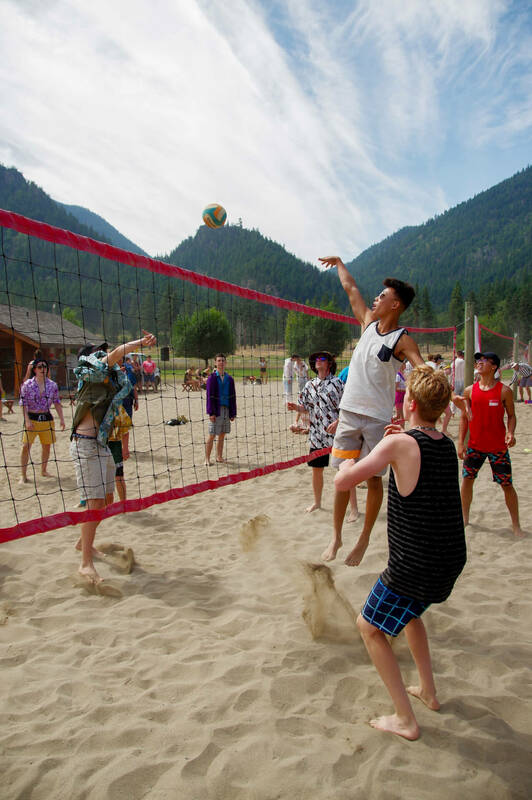 RockRidge Canyon sets the standard high when it comes to activities, food, accommodation and fun so you can rest assured this will be a true holiday – A summer break to remember. 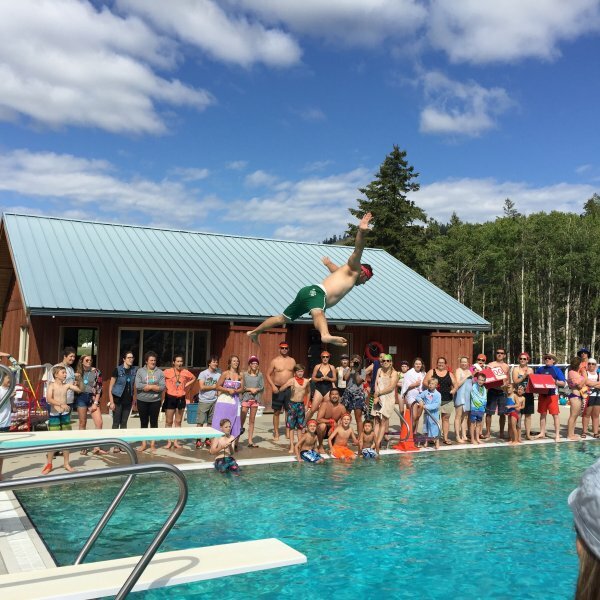 Family Camp creates a unique opportunity for a community experience, as friends from neighbourhoods, schools, sports teams etc. attend together. 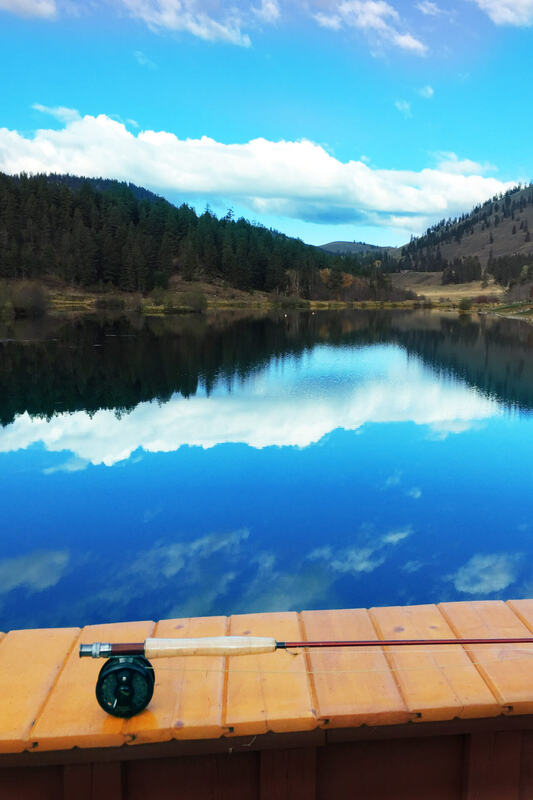 Those who have been know that time at RockRidge Canyon is a rare and unique experience. The format of the week encourages adventure, stronger relationships and great conversations. 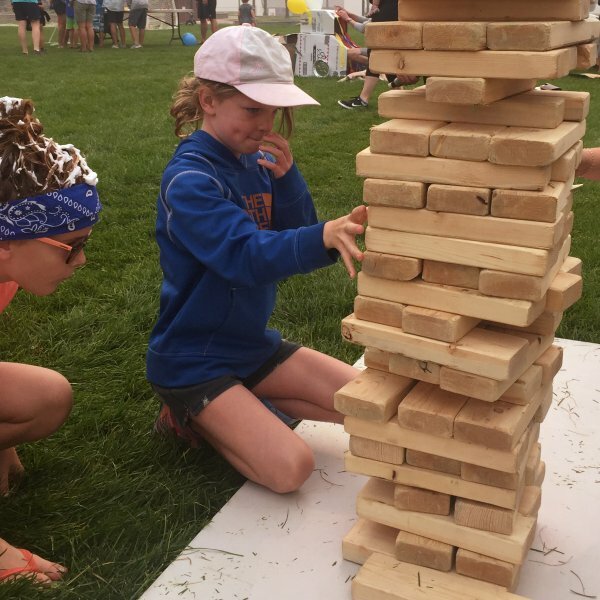 While the majority of people attending Family Camp are families with children aged 5-13, all ages and kinds of friends & family groupings are welcome. Sometimes grandparents bring their teen grandchildren. Couples are welcome too! Overall it’s a fun week for all to join friends and make new friends in an amazing setting. Inclusive rates starting from $459 per adult plus accommodation. Children under 3 are free. Make plans now! 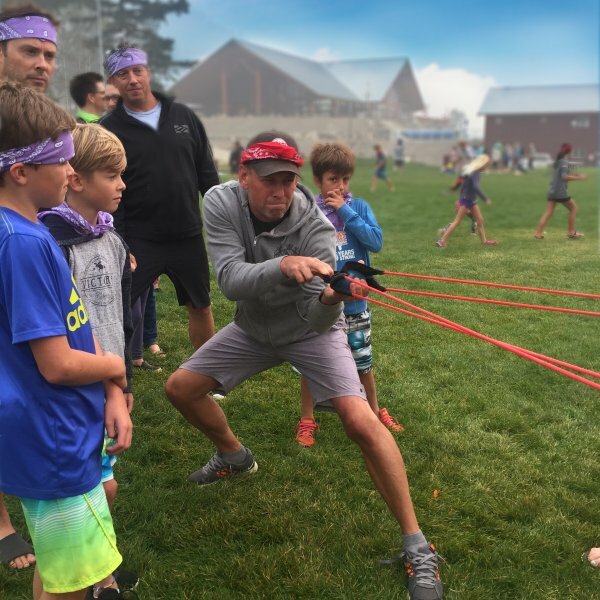 Family Camp size and registration is limited. 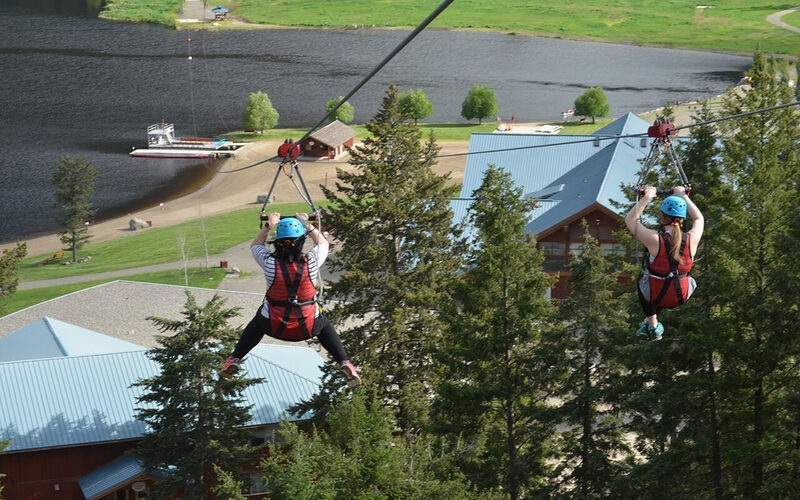 Challenge yourself with the aerial Ropes Course and a Tower of Terror (for bigger kids and adults). See size restrictions below. This week is designed to facilitate a great family vacation. 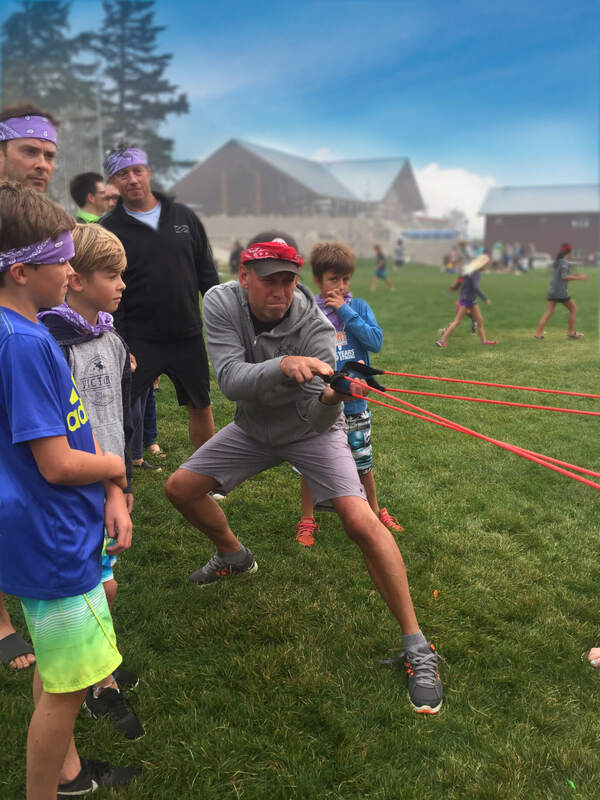 There is some optional programming with activities most mornings to encourage family fun and there is a great deal of free time to enjoy the property each afternoon. In the evenings there is a one-hour “Young Life Club” with singing, laughter and a short talk about life and the Christian faith. Everyone is encouraged to attend, and many people report that this is a highlight of their week. There are also other evening activities planned that are great family fun. 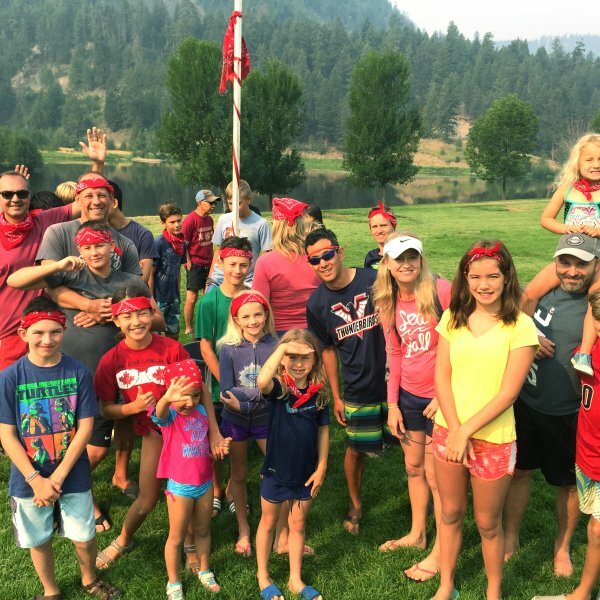 Reserve your spot at family camp today. 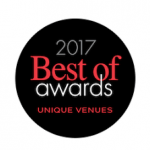 Click here to book. Do we need to bring sleeping bags? Are linens and towels provided? 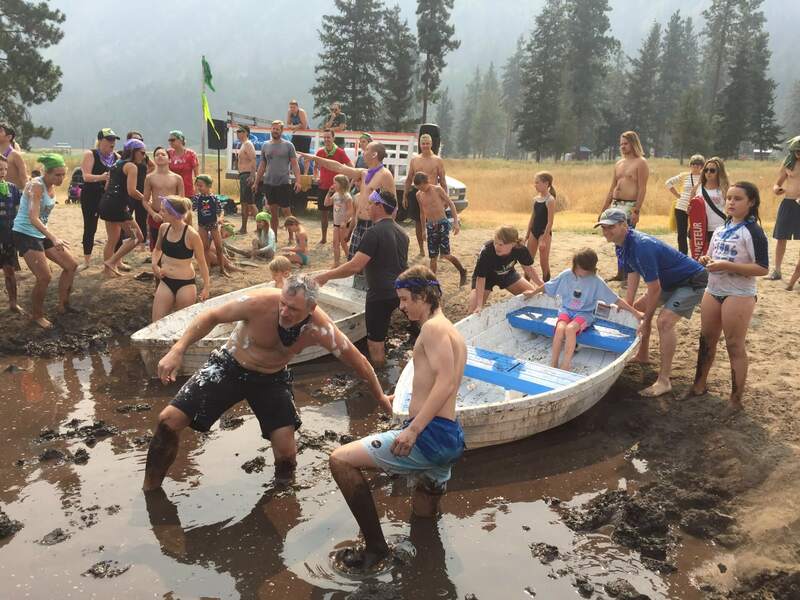 Do we need to bring extra money for activities? Are there any age, size and weight restrictions for any activities? 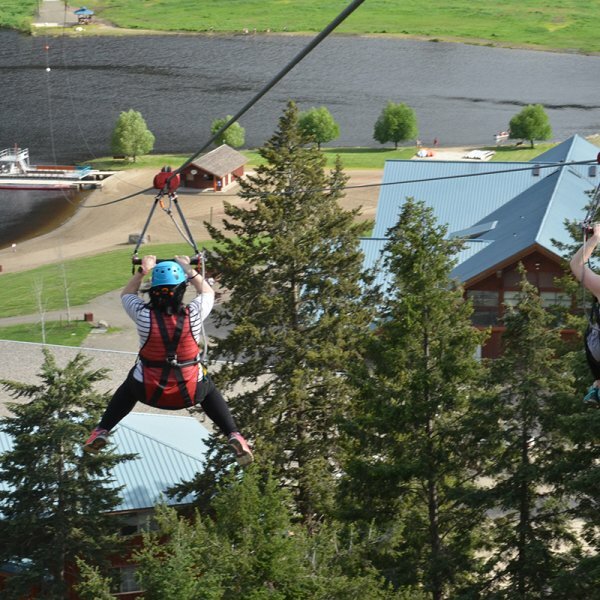 Can children enjoy the Zip Line, Tower of Terror and Ropes Course? Can medical dietary restrictions or food related allergies be accommodated? Do you provide children's playpens / sleeping cots / highchairs / booster seats? What if I forget something? Is there shopping close by? What additional items should we bring? What is the cell phone coverage and is there internet access? Should we bring extra food? What happens if a family member is sick or injured? 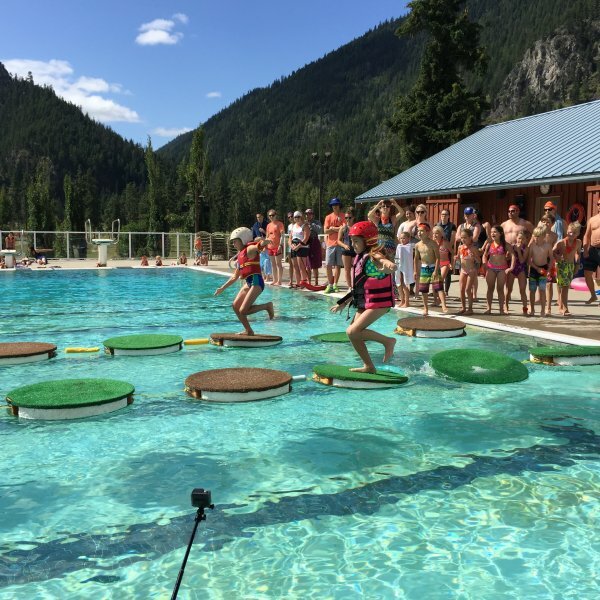 What type of swimming pool is at RockRidge Canyon? Is there a lifeguard? What time should I plan to arrive and when do we leave? Are there provisions for early arrival or late departure? 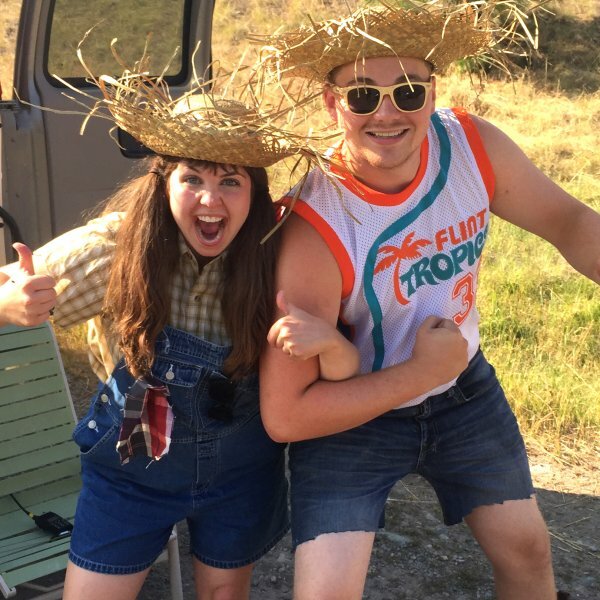 Do you have to be religious to attend Family Camp? How do I register to attend this camp? 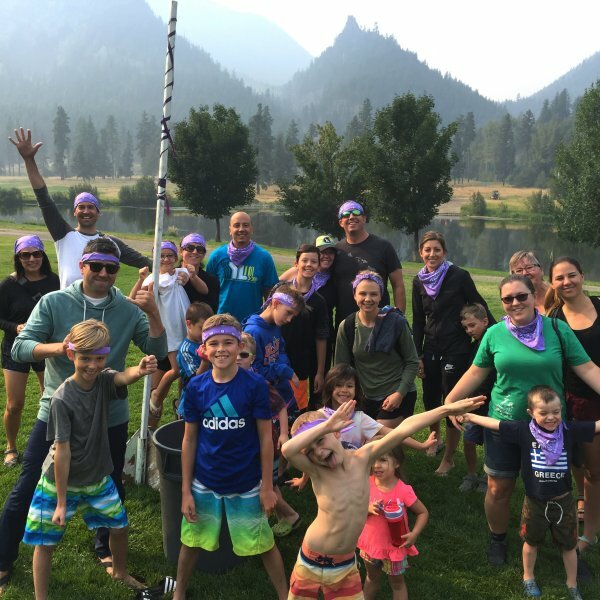 What is the Family Camp cancellation policy? 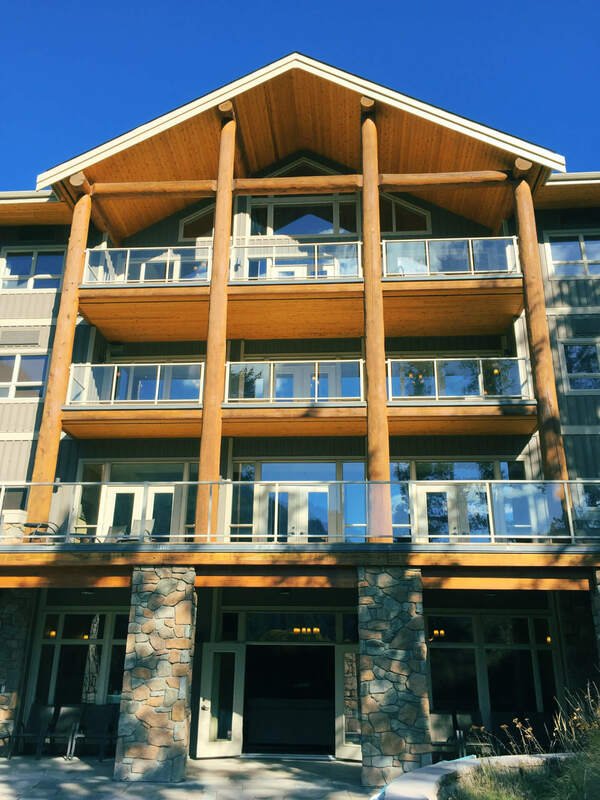 As RockRidge Canyon is built for retreats and teen camps, most accommodations are dormitory style. 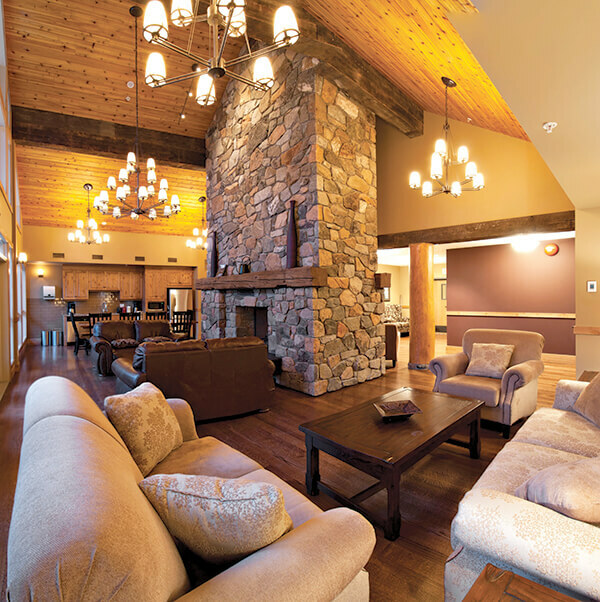 All dorm lodges have comfy lounge areas to hang out in. Dorm rooms feature 6 or 7 pine post bunks in each room, totalling 12 or 14 beds. Each room also has an attached large washroom with 3 sinks, 3 showers and 2 toilets. There are 24 dorm rooms at RockRidge Canyon. Our preferred option to allow as many to attend camp as possible is in SHARED Dormitory Rooms, which also offers you a lower price! 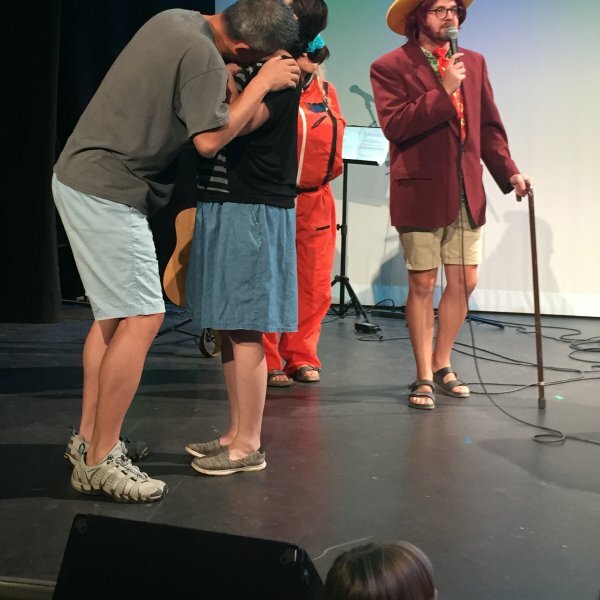 Families can CHOOSE other families they would like to stay with. This can be done by sharing one dormitory or for larger groups, spread into two rooms by creating a mother/daughter cabin and a father/son cabin. Please keep in mind that, other than sleeping (or napping!) very little time will be spent in your rooms but sharing with neighbourhood friends makes for a fun week. Bedding and towels are provided in the dorm lodges. 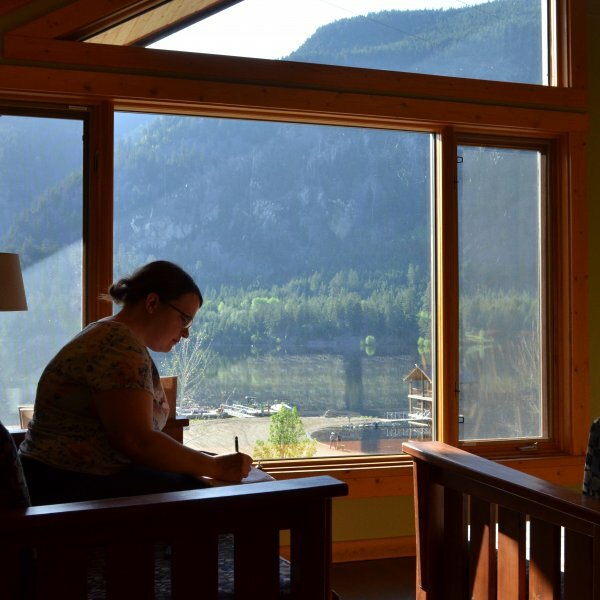 There are a limited number of rooms available in our luxury guest lodge during Family Camp. Rooms can accommodate a maximum of 3 people (1 King, or 2 twins with 1 optional mat/foamy on the floor). While Wolfe Creek Lodge rooms are well appointed with air conditioning and private washrooms, each room is designed for the comfort of two people, so having a third on the floor will make things tighter. There are 9 RV pads with full hook-up (water, power and sewer) on the hillside overlooking the canyon. The RV park is about 750 meters (10-15 minutes walk). Some RVers bring bikes or have a detached vehicle ready as their shuttle. There are sites set aside for tents and tent trailers adjacent to the soccer field. 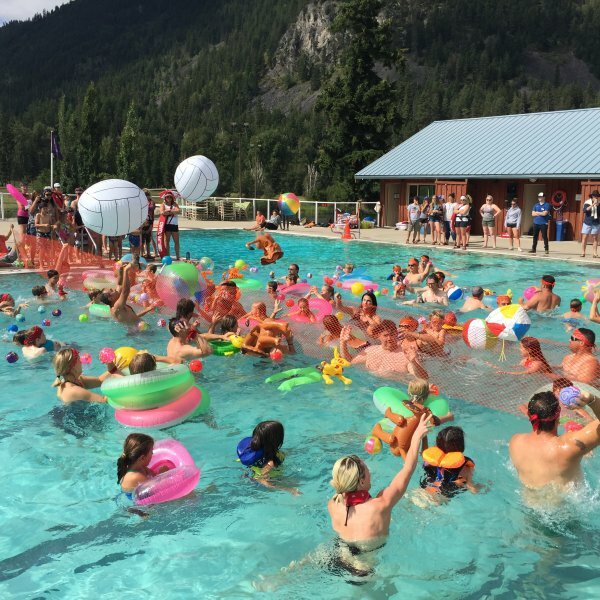 No hook-ups to power and water are available for the tent sites but there is nearby access to the poolside showers and washrooms (2 min walk). The week is designed as a fabulous inclusive experience! The price includes lodging, linens and towels (except the tenting & RV housing options), 3 full course meals per day, daily snacks, all programmed activities, free time activities, and yes, GST. When registering, add each person attending then an accommodation option for your family. 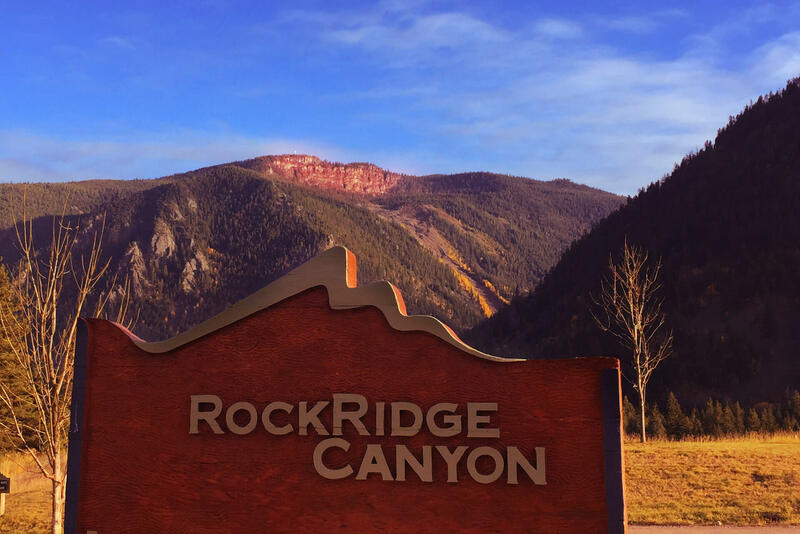 We want you to relax and enjoy the RockRidge Canyon experience. That includes comfy accommodations and a good night’s sleep. No sleeping bags required. Leave the cramped mummy bag at home! Yes. Bed linens (sheets, pillow and a blanket) and bath towels are provided in all dormitory and lodge rooms. Pool towels are also available… at the pool. 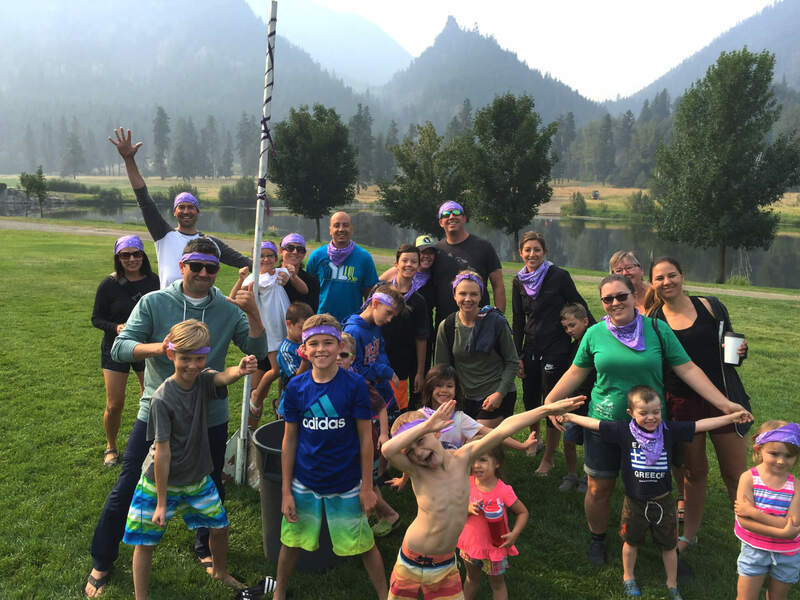 No – you will not need any extra money for the Family Camp activities – they’re included. 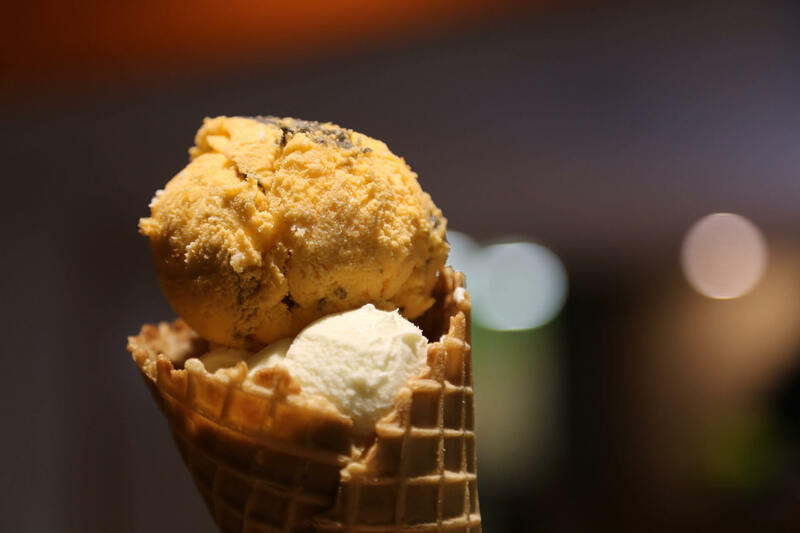 It is helpful, however, to have cash for ice-cream and treats at Scoops Snack Shop and for specialty coffees at the loft Canyon Coffee shop. Many families pre-pay a tab upon arrival, so that carrying cash or cards are not needed during your time at camp. There is a wonderful gift shop, The Ridge Trading Co, where you can purchase T-shirts, coffee mugs, books, jewelry and other items. 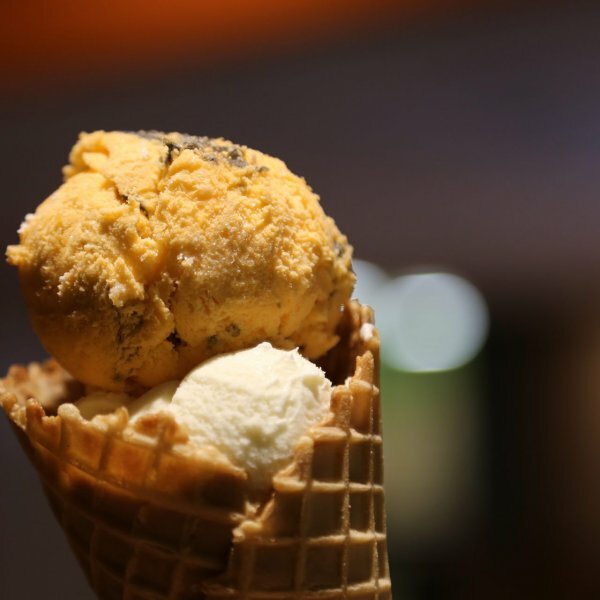 Scoops, Canyon Coffee and The Ridge all accept debit and credit cards. Massages will be available by a Registered Massage Therapist for an extra fee. Yes. There are some weight and size restrictions for the Zip Line, the Ropes Course, Tower of Terror, mountain bikes and some water sports. For the Tower of Terror min 4.6ft tall, min 60 pounds and max weight of 275 pounds. The Ropes Course is harness dependent. Mountain bikes fit ages of about 12 to adult. Bike helmets are mandatory for all ages while on site. You may bring your own bikes if you wish, but keep in mind the paths are not paved and some mountain bike trails are challenging. 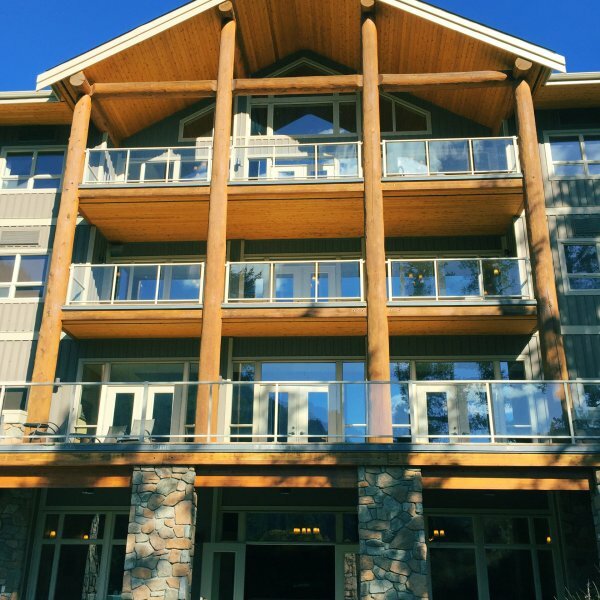 Although the property can be enjoyed by any age, RockRidge Canyon was built for teenagers and therefore most activities are more suitable for school-aged children and older. Families with infants and toddlers are welcome to attend but participating in some activities may be limited or not possible. For the Zip Line, children must be 48 in tall and 60 pounds minimum. We want to be sure they fit the harness perfectly and have the weight to make it to the bottom! By the way, a maximum weight of 275 pounds is allowed. 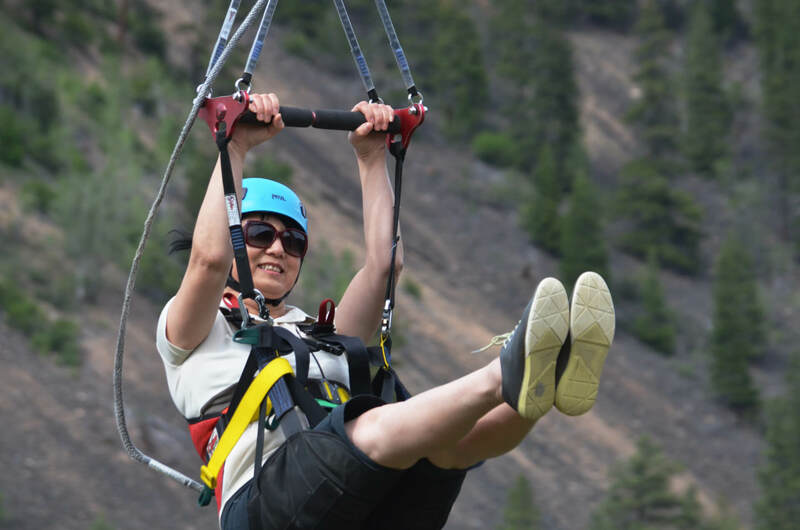 One person per harness and zip line. The Ropes Course is harness dependent and The Tower has a 5 ft tall minimum. The maximum weight is 275 pounds. 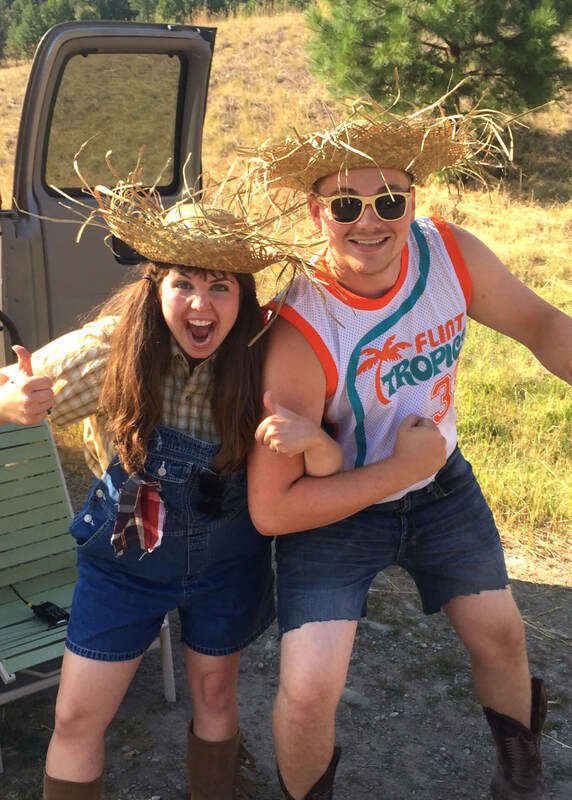 Yes, each evening during Young Life Club we’ll have a team of Young Life leaders provide optional activities for two different age groups. Those mature enough to participate in all of Club are welcome to stay. There is also a short “fun for little ones” right after each lunch – this lasts about a half hour and includes activities like chalk art, blowing bubbles etc. Teenagers are free to spend time with their families or hang out together. 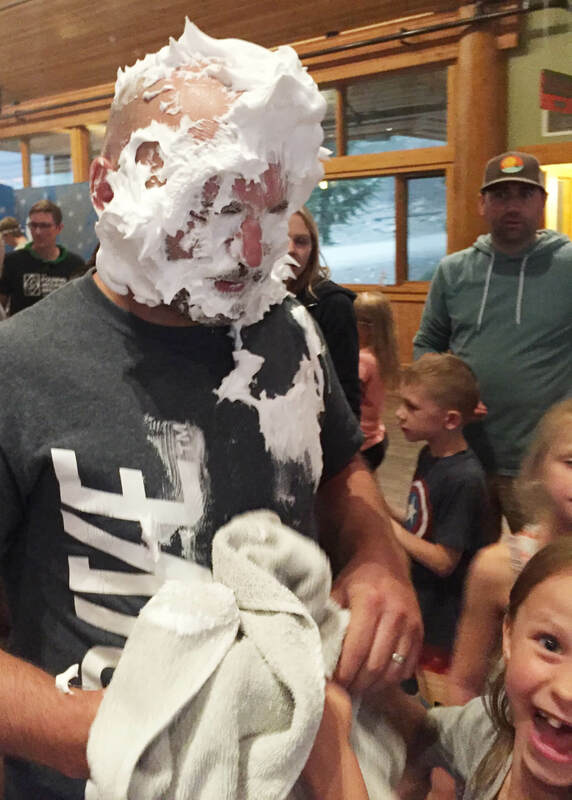 Young Life leaders are also available to host meals together with teens, provide fun activities, and help teens get to know each other. They will also have some special things planned for the later part of the evenings that the teens won’t want to miss! No. Private power boats are not allowed for insurance reasons. Yes. A number of meals are served buffet style so guests can choose appropriate foods. Our kitchen staff has a great track record of specialty meals, so long as they are given appropriate notice. Please indicate allergies or medical dietary restrictions on the guest Health Form prior to arriving. Plan to meet the chef following the first meal. Yes. Some access to refrigeration will be available for families with young children and those with special dietary needs. Yes. Smoking is permitted in designated outdoor areas. Please note that cannabis and alcohol are not permitted on site. No. 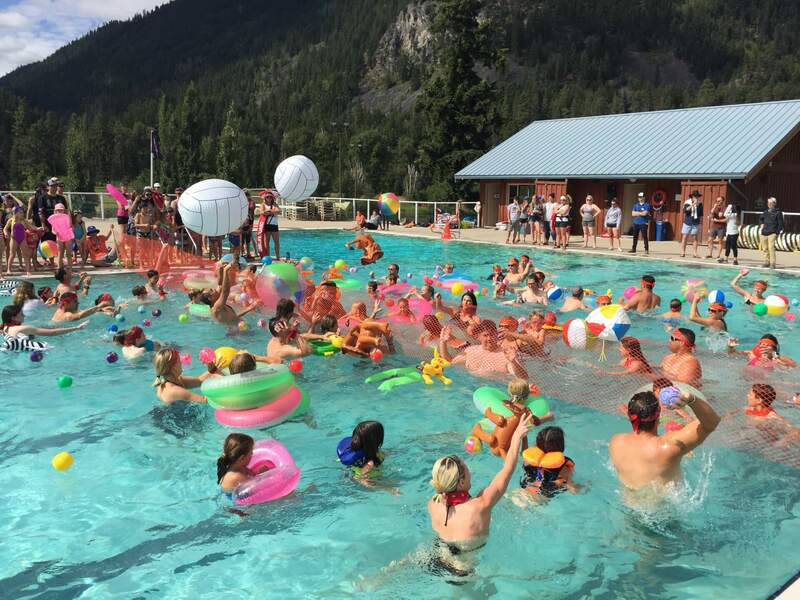 In complying with the decision of Young Life of Canada’s Board of Directors, RockRidge Canyon is an “alcohol/cannabis free zone”. Throughout the summer RockRidge Canyon hosts 200-300 youth per week, so we will also be complying with this RockRidge Canyon policy. Families need to bring their own playpens as none are provided. There are a limited number of high chairs in the dining room but no booster seats. To be on the safe side, we suggest you bring your own. Yes. There is wheel chair access to rooms and bathrooms in some dormitories and there is an elevator in the main dining area. Please note, however, that the roads and paths throughout the camp are gravel and the terrain is quite rugged. When you register, please let us know if you need to be housed in a wheelchair accessible room. 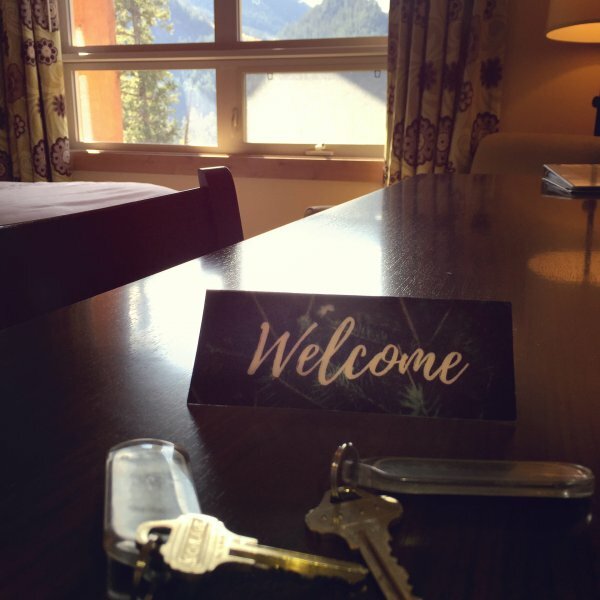 The town of Princeton is a 20 minute drive from RockRidge Canyon and has basic amenities, such as a Save-On- Foods Store, Home Hardware, and Shopper’s Drug-mart. The “Ridge Trading Co” gift shop at RockRidge Canyon is stocked with basic items, such as toothbrushes and toothpaste, water-bottles, flashlights, etc. 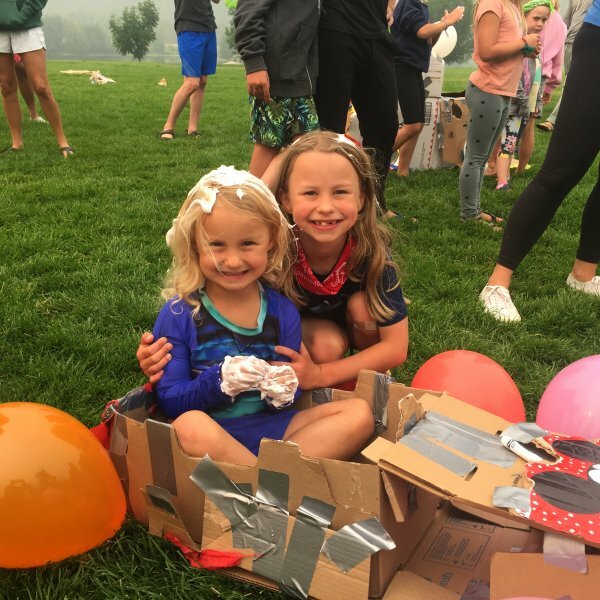 While camp has a decent array of life jackets, as so many activities take place on the water, many may find themselves more comfortable in their own life jackets. Families need to bring lifejackets for their children, as camp has a very limited selection of children’s life jackets. 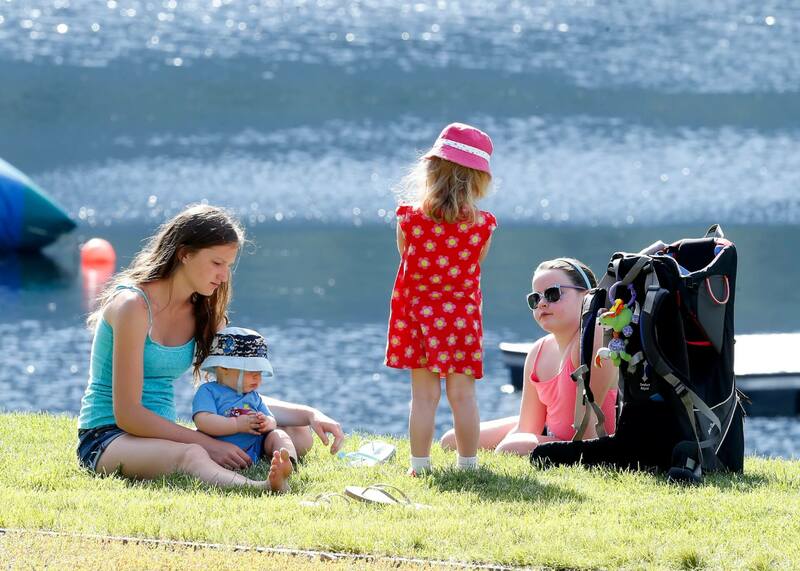 Parents of younger ones may also appreciate having a sun umbrella handy at the beach. Fans in the dorm lodges (which are not air conditioned) can make sleeping more comfortable on hot summer nights. 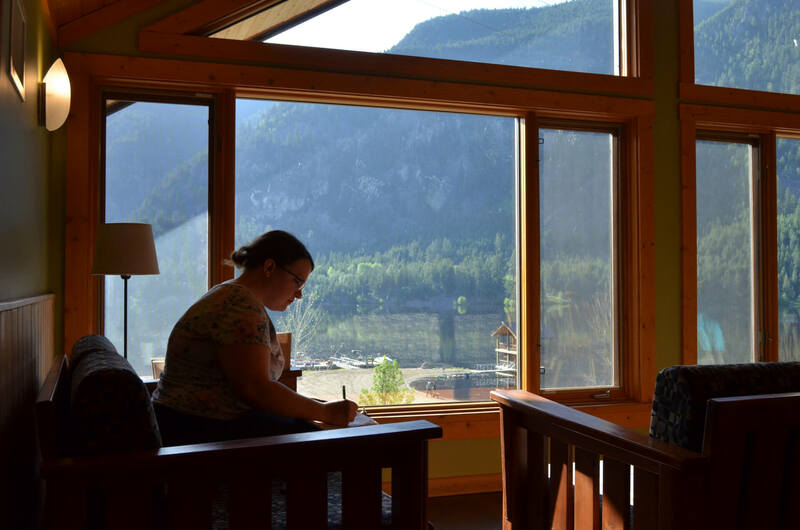 RockRidge Canyon has public Wi-Fi around the dining hall, in Wolfe Creek Lodge and in The Rock should you wish to bring your portable computer to stay in touch. 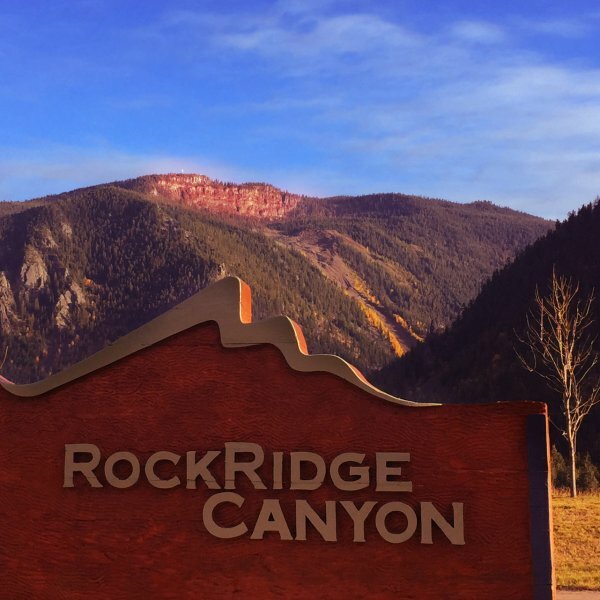 Rockridge Canyon is set in a mountain valley so cell phone coverage can be spotty around the property. Ask your service provider if you qualify for Wi-Fi Calling (text and phone calls). For your convenience there are courtesy phones on site, which are free for long distance calls in North America. 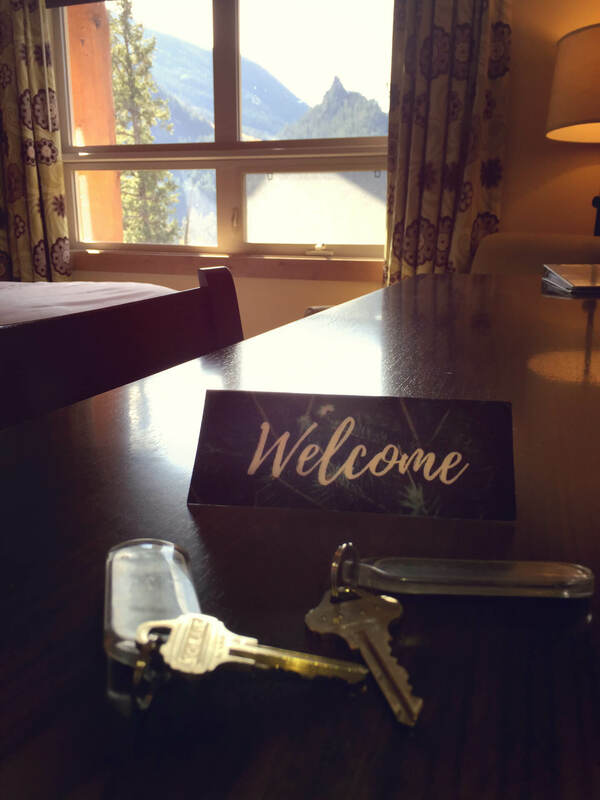 During your stay, anyone wishing to leave a message for you can call the RockRidge property office at 1 (250) 870-9030 and the message will be delivered at the earliest convenience. Your RockRidge Canyon experience includes 3 amazing meals per day. 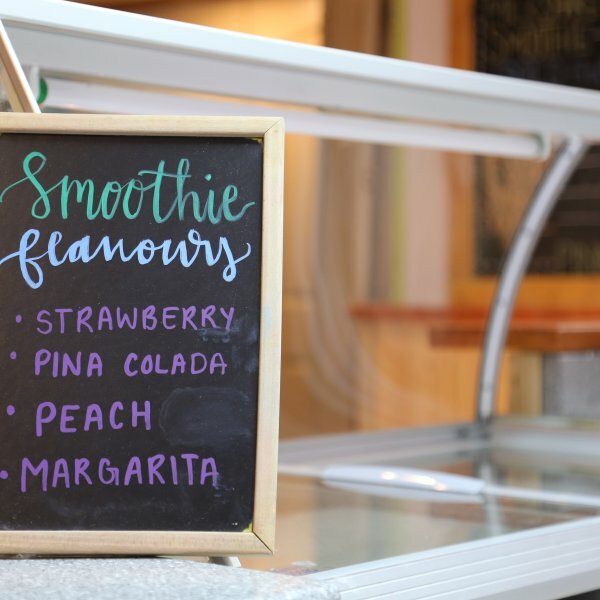 If you’re feeling peckish or have a hankering from something cool slide into Scoops snack shop, where you can purchase ice cream, chips, pop, slushies, chocolate bars and other goodies. 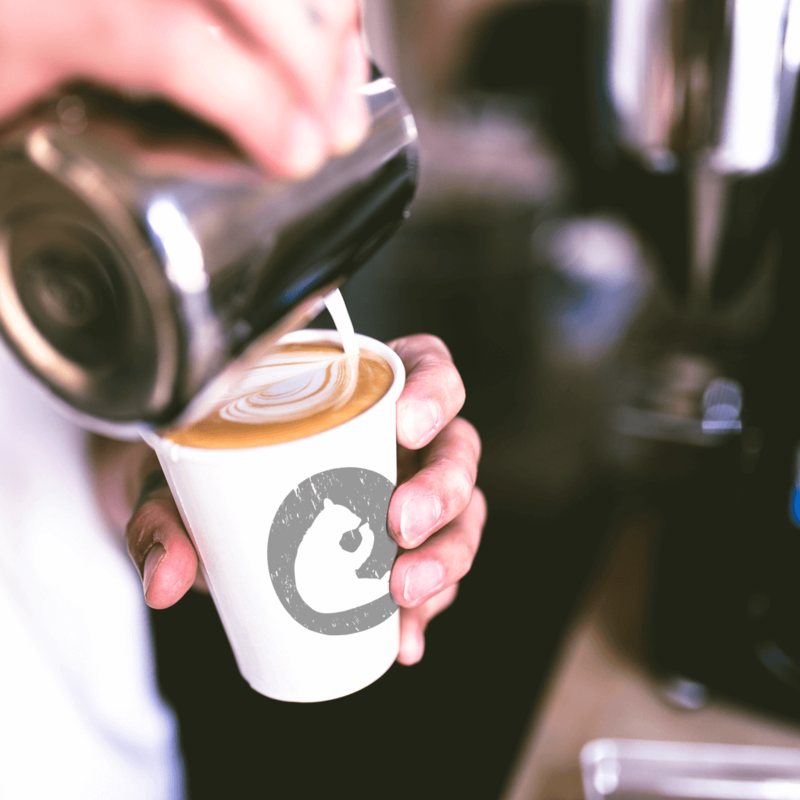 Step up to the loft for specialty coffees in Canyon Coffee. 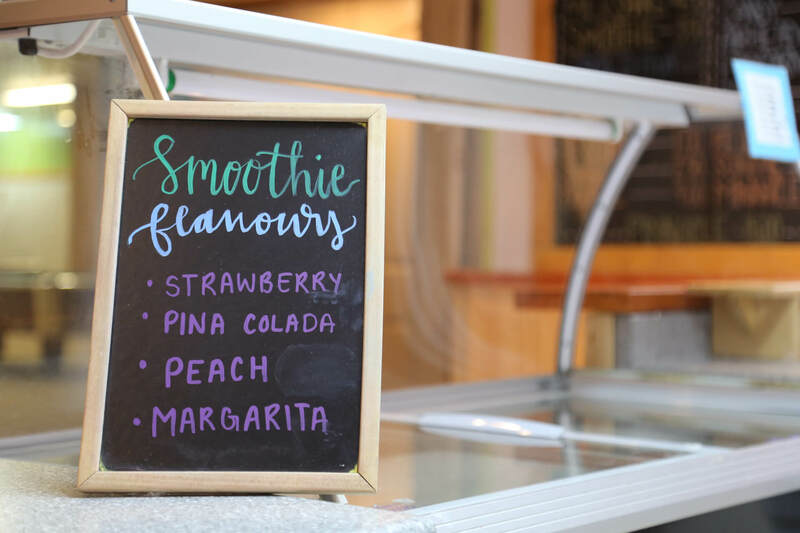 Cash and cards are accepted at the snack and coffee shops. You know you. Bringing additional snacks is not necessary unless you have specific food restrictions. 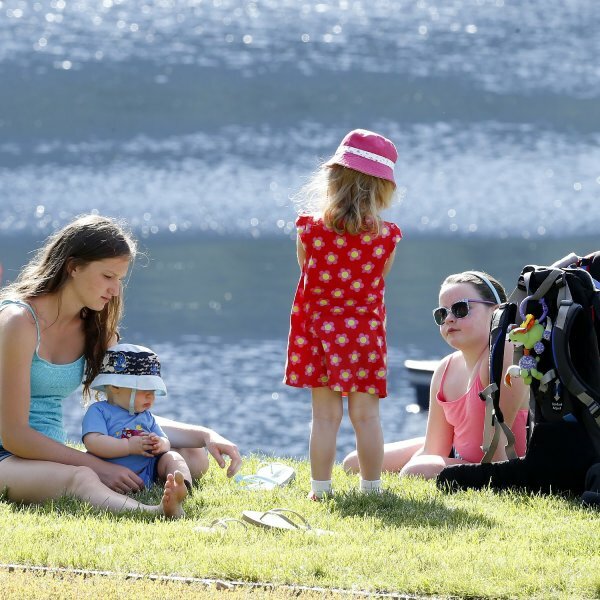 Just like at any resort, children will need parental supervision throughout the day and age-appropriate limits agreed upon. The camp property is private and only registered campers are allowed on the site. Some families bring 2 way radios for communicating with their older children. There will be a doctor on site at all times and available for emergencies. RockRidge Canyon is stocked with first aid and medical supplies. 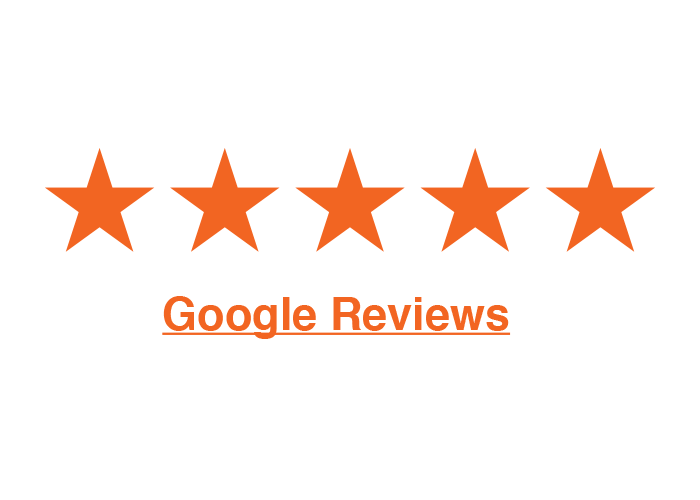 If needed, the Princeton General Hospital is just a 20-minute drive away. 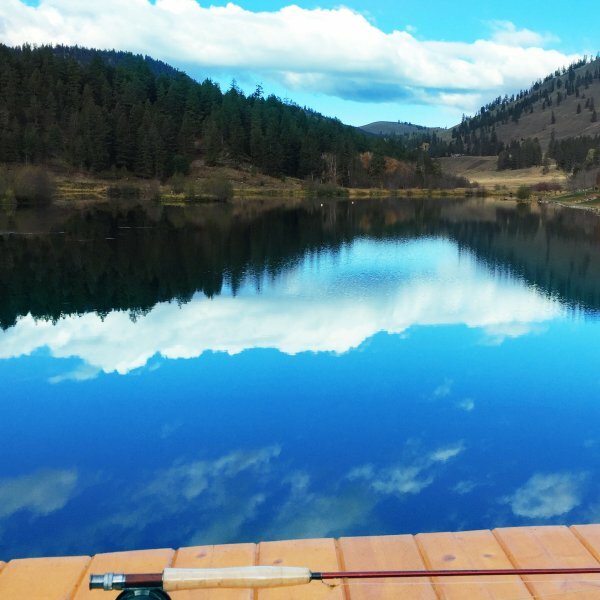 RockRidge Canyon is a lake front property with a beautiful pool overlooking the canyon. Most of the outdoor pool has a 4-foot depth and is 25 meters in length. 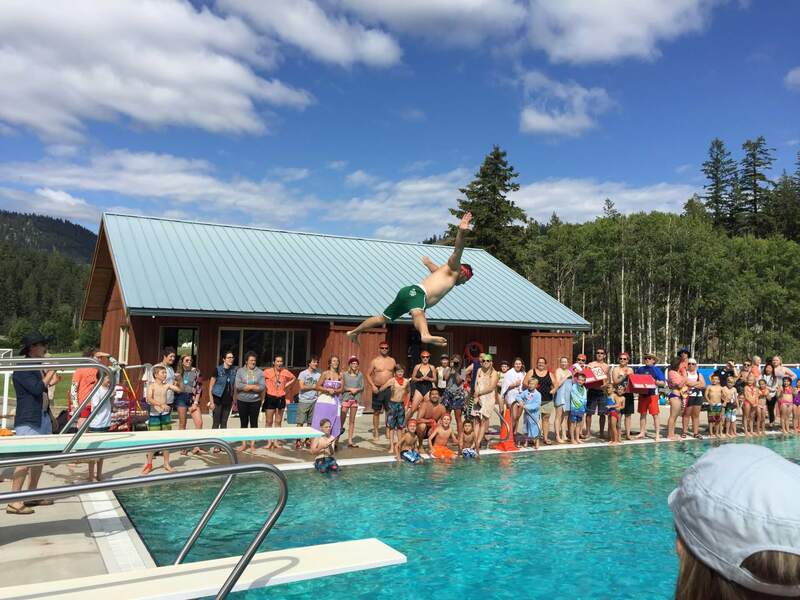 A dive tank is also part of the pool and is equipped with 2 diving boards. There are lifeguards at the pool when open, however, children who cannot swim on their own will still need to be supervised by a parent. Please bring life jackets and floating toys along for younger kids. The pool can be accessed early in the morning by adults only for lap swims but must be done with a buddy. Arrival and registration begins on Saturday, July 6th at 2:30pm with dinner served at 6:00pm. Departure on the last day, Thursday, July 11th is at 11:00am. Sorry, bu no. 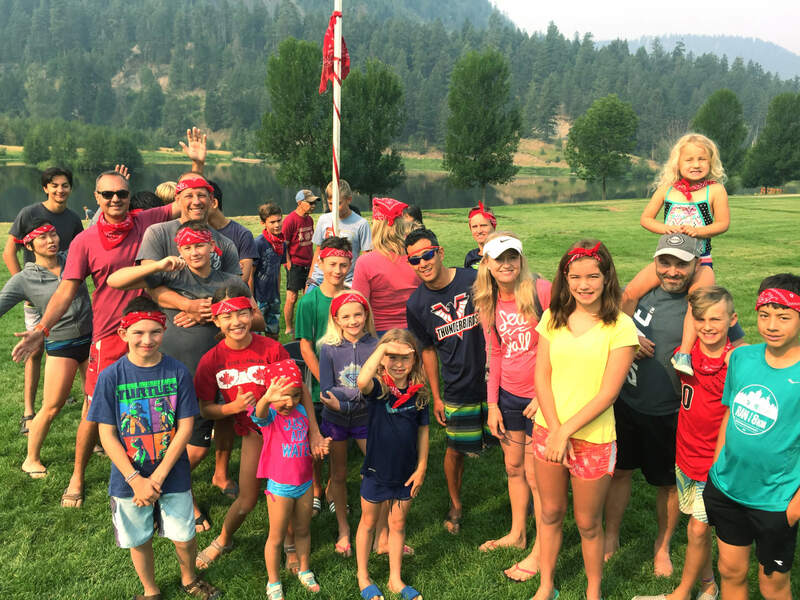 RockRidge Canyon is fully booked before and after Family Camp. Young Life is a non-profit, community based, Christian youth organization in over 100 countries. 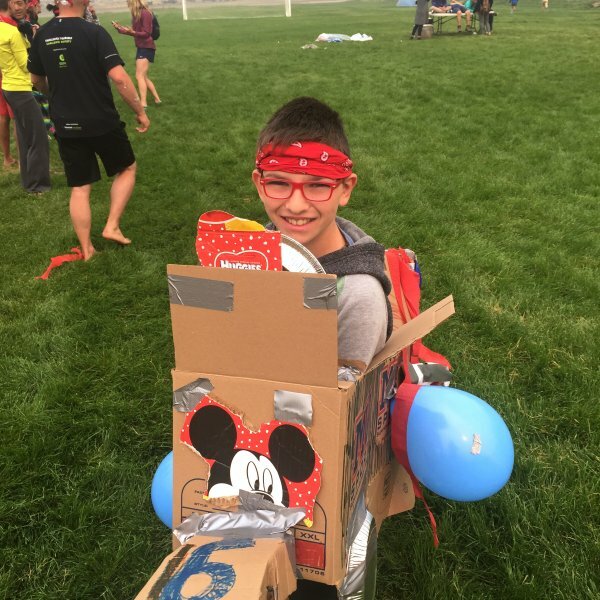 Trained staff and volunteer leaders build mentoring relationships with adolescents in local areas and provide positive role models through friendships, events and camps. 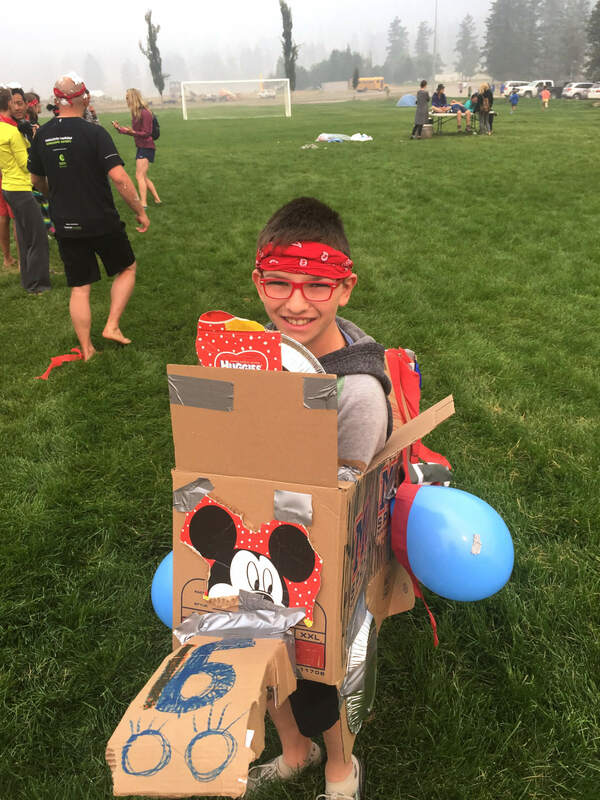 At our events and camps teens are given the opportunity to hear the basics of the Christian faith and accept or reject that message with no strings attached. 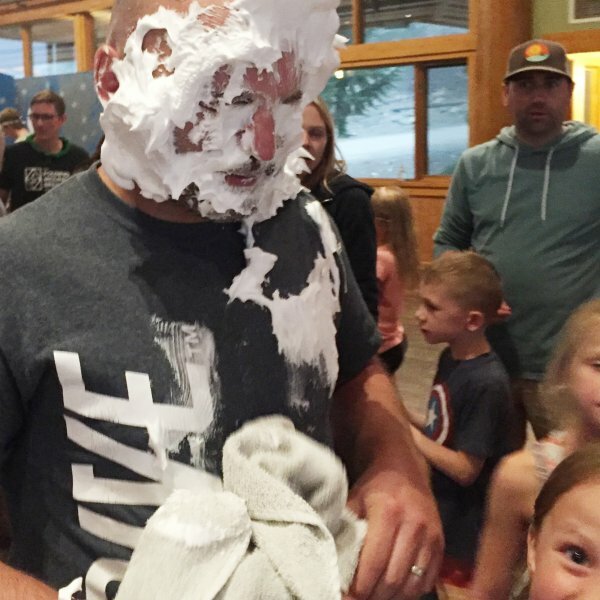 The Young Life Canada national office is in Langley BC, with lots of Young Life clubs meeting across Canada. No, people of any/no faith are welcome to attend and will have an incredible week and be warmly welcomed. In fact many student summer campers each year would not consider themselves religious but come and have a great time. Prior to most meals ‘grace’ is said and each evening there is a short presentation explaining the Christian faith during “Young Life Club”. Complete the on-line registration page and submit your housing request. After this you will be contacted by email to confirm your housing request (it will be assigned on a first come, first served basis) and provided a secure link for credit card payment of your deposit of $250. The deposit is due immediately and will hold your spot and the balance of your camp fee will be due two weeks prior to camp starting. 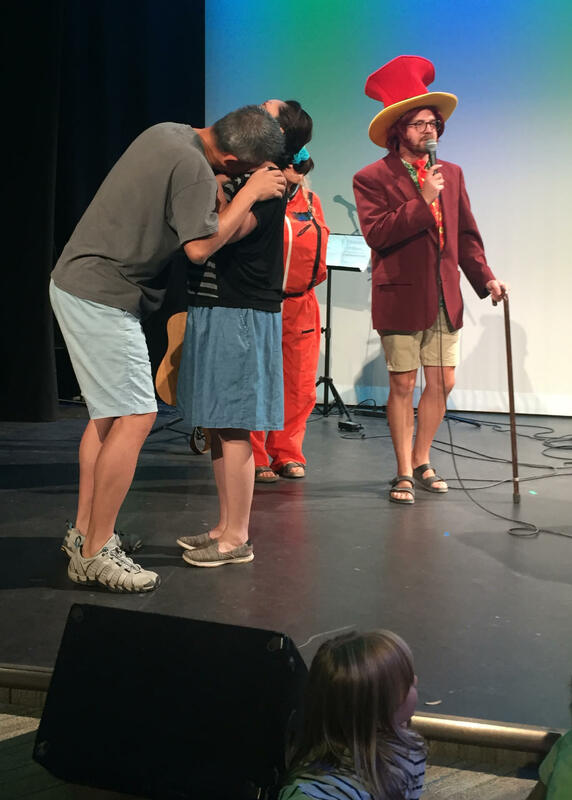 Please be aware that this is the only Family Camp during the year and the rooms fill quickly. 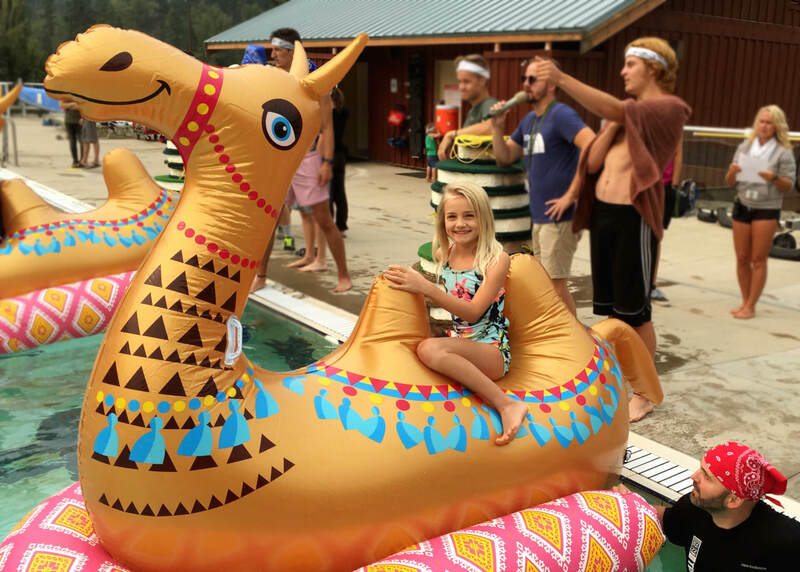 In the event that you are unable to come to Family Camp, your deposit (and any balance paid) is fully refundable until Friday, May 31st. 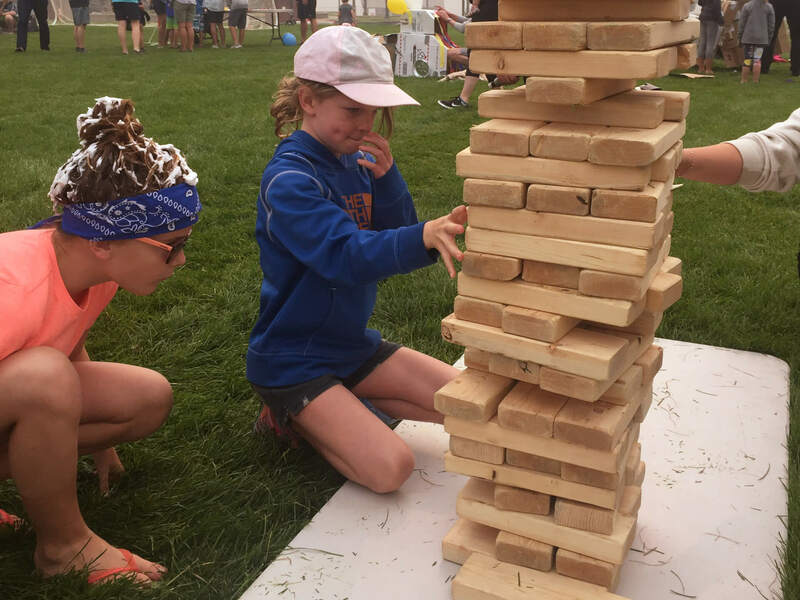 After May 31st the deposit is non-refundable, with only the balance of the camp fee refundable up to Friday, June 21st, 2019. After June 21st, there are no refunds (except in the event of a family emergency). 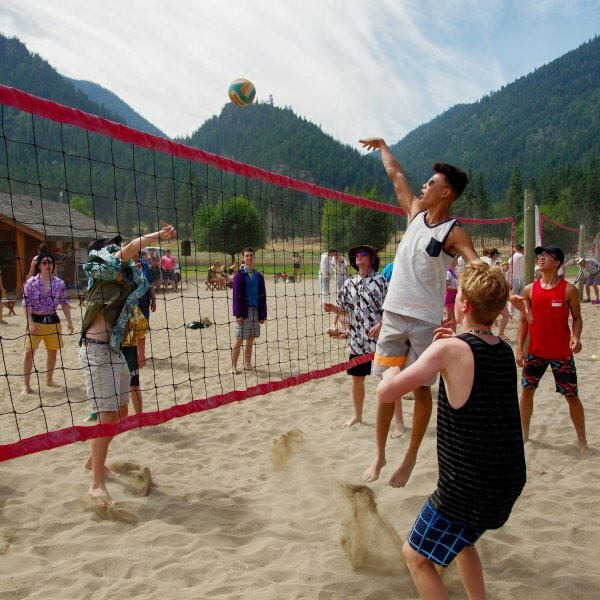 RockRidge Canyon is Young Life of Canada’s resort property located near Princeton, BC.